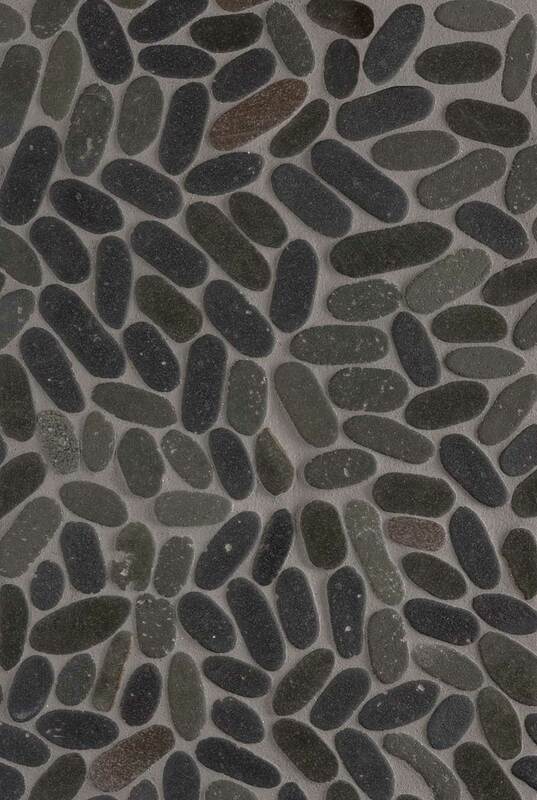 Bring the essence of outdoors, indoors with our Sliced Pebble Backsplash Design. Here, coal and charcoal toned pebbles are sliced to reveal their character and finished with a tumble to add a rustic edge. Appropriate for design styles from traditional to modern, they can complement a wide range of floor tiles and natural stone slabs in our inventory allowing for a truly custom design.